Dimensions 0 by 5.19 by 7.63 in. In the wrong hands, chocolate can be very dangerous indeed. . . .
Oz and Lily have a top-secret mission. 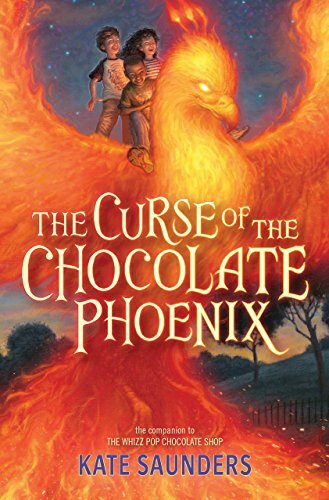 Alba the witch has gotten her hands on a magical chocolate phoenix and is plotting to use it for some serious evil. With the help of an army of rats and an unreliable talking cat, the children must pursue her not only across London but through time itself. This might be their toughest adventure yet. About: For fans of Roald Dahl’s Charlie and the Chocolate Factory, Oz and Lily’s magical chocolate-filled adventure continues in the sequel to The Whizz Pop Chocolate Shop. With S. Goto (other contributor) | from Elsevier Science Ltd (May 1, 1986); titled "Design Methodologies"
About: Recent advances in microelectronics technology have drastically changed the strategies used in VLSI circuits.